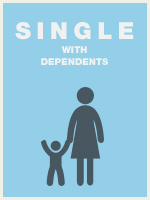 In this illustrative course the goal is to address the various credits and exemptions available to single parents. In addition to the child tax credit and the child care credits, many single parents qualify for the Earned Income Tax Credit. This credit is not only available to taxpayers with children, and this course strives to review the key determining factors in evaluating a taxpayer for qualification. Unreported social security and Medicare is also addressed, particularly as it relates to the receipt of tip income. Determine applicable credits (e.g., earned income tax credit, child tax credit, education, retirement savings, and dependent and child care credit). Determine special filing requirements (e.g., presidentially declared disaster areas). Determine qualifying child/relative tests for Earned Income Credit. Earned Income Tax Credit (EITC) (e.g., Schedule EIC Earned Income Credit, Form 8867 Paid Preparer's Earned Income Credit Checklist). Unreported Social Security and Medicare tax - (e.g., Form 4137 Social Security and Medicare Tax on Unreported Tip Income). Appropriate use of Form 8867 Paid Preparer's Earned Income Credit Checklist and related penalty for failure to exercise due diligence (e.g., IRC 6695(g)).